Many people in the elite black comedy world have kept a secret for well over a year; their friend, mentor and colleague, Paul Mooney, is sick. Many people who do not know Mooney spread rumors or made horrible assumptions about his health. But Mooney has been battling stage four prostate cancer for well over a year and it has taken its toll. The once robust, burly, laughing black man now uses a wheelchair and cane. But Mooney hid it well; he continued to do his stand-up comedy routine. But now he needs the assistance of a cane and someone who has his back, his brother, Rudy Mooney. “I’ve been with Paul since the start of this thing,” stated Rudy Mooney to rolling out and Rudy will be there until the end. But it does not look like that end is coming soon. 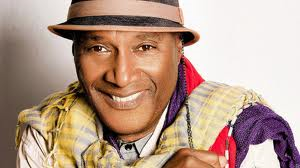 Paul Mooney is still traveling all over the country, from coast to coast and even Canada. The longtime Oakland, California, resident can’t and won’t sit still. Because Mooney is an entertainer, the stage is his source of income besides residuals from writing. Mooney has written for “Chappelle’s Show,” “The Larry Sanders Show,” “In Living Color,” “Pryor’s Place,” “The Richard Pryor Show,” “Saturday Night Live,” “Good Times” and “Sanford and Son” among others. Recently while appearing on the “Arsenio Hall Show,” Paul Mooney was shown in medical distress. Those who know him were saddened to see his performance. Mooney walks out with a cane and takes his chair. He then begins his routine and loses his way several times.